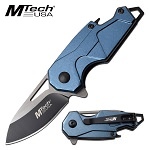 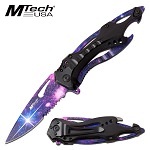 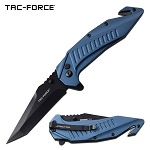 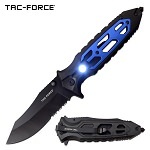 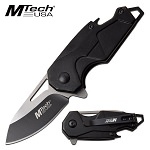 Tac Force pocket knife with LED light. 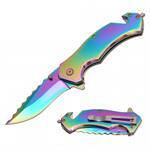 The knife has a tactical knife handle with glass breaker and LED light. 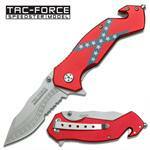 Featuring Rebel Flag Aluminum handle. 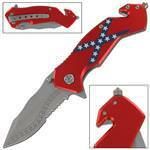 4 Inch Overall closed in length, includes Seat belt cutter, glass breaker and pocket clip. 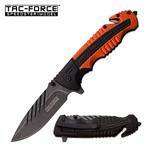 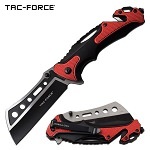 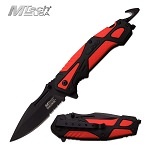 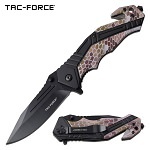 Tac-Force Tactical Rescue Spring Assisted Knife Black Orange Handle. 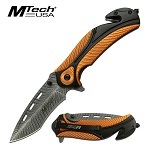 4.75" closed in length with 3.25" 2.8mm thick blade, stainless steel. 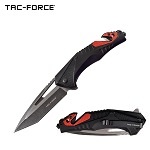 Pocket Knives by Tac Force are the best knives for sale. 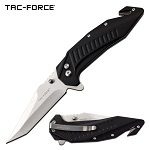 The tactical knife handle has a pocket knife attached, a cutter and a heavy duty glass breaker. 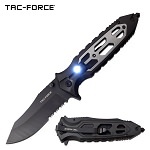 Tac Force Tactical Knives are the best pocket knives for sale. 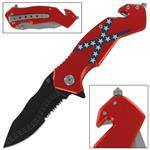 The knife has a wharncliffe blade with a length of 3.5 inches.